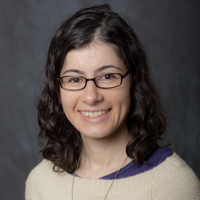 Dr. Josefa Steinhauer, assistant professor of biology, was recently profiled in the Genetics Society of America’s New Faculty Profile. Steinhauer is featured in a series that highlights members who are in the process of creating their first independent labs. Steinhauer’s research is focused on lipid-mediated signaling in Drosophila, a genus of small flies. She hopes that deeper study of Drosophila will provide insights into the role enzymes play in mammals, especially male fertility.